Theatre Communications Group (TCG) and the University of California, Santa Barbara (UCSB), are proud to announce a screening event to honor Frank Chin, founder of the Asian American Theater Company, as part of the Legacy Leaders of Color Video Project (LLCVP). The free event will be held at 2pm on Thursday, November 2nd, at the Multicultural Center at UCSB, 494 UCEN Rd, Isla Vista, and include a screening of Chin’s LLCVP video, and readings from his plays. 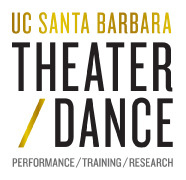 “UC Santa Barbara is pleased to host the Frank Chin Legacy Event,” said Professor Carlos Morton of the Theater and Dance Department. “Chin is not only a graduate of UCSB, but the Davidson Library holds his papers in its Special Collections.” The campus sponsors include: The Hemispheric South/s Research Initiative; Division of Humanities and Fine Arts; Office of the Executive Vice Chancellor; Office of the Associate Vice Chancellor for Diversity, Equity and Academic Policy; Asian American Studies, Davidson Library, and the Department of Theater and Dance. TCG created the LLCVP over a two-year period. With support from the Doris Duke Charitable Foundation to work with video production company MOPED, TCG filmed a series of interviews chronicling the stories of founding leaders of theatre of color, including Douglas Turner Ward. Screening events will be held in the leaders’ communities to further celebrate their legacies and galvanize support for their enduring impact. The Legacy Leaders of Color Video Project is one of the key elements of TCG's Equity, Diversity and Inclusion (EDI) Initiative’s “Establishing a Baseline” programming, which also includes REPRESENT, a demographic survey that thinks outside the checkbox, and The Well, a hub of EDI-related resources.“Establishing a Baseline” programming received Phase I and Phase II support from the Doris Duke Charitable Foundation’s (DDCF’s) Fund for National Projects. The mission of the Doris Duke Charitable Foundation (DDCF) is to improve the quality of people's lives through grants supporting the performing arts, environmental conservation, medical research and child well-being, and through preservation of the cultural and environmental legacy of Doris Duke's properties. The Arts Program of DDCF focuses its support on contemporary dance, jazz and theater artists, and the organizations that nurture, present and produce them. For more information, please visit www.ddcf.org. MOPED is a full-service digital media and video production company that intersects stories that matter with technology — to catalyze conversation, mobilize audiences and drive impact both on and offline. We help you achieve heightened visibility, audience understanding and greater success, by developing your story as a vehicle, and then leveraging the platforms you’ll use to share it with the world. http://mopedproductions.tv/.